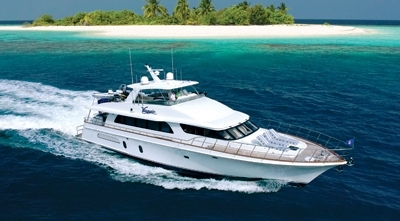 M/Y VIAGGIO is Cheoy Lee motor yacht built in 2006. 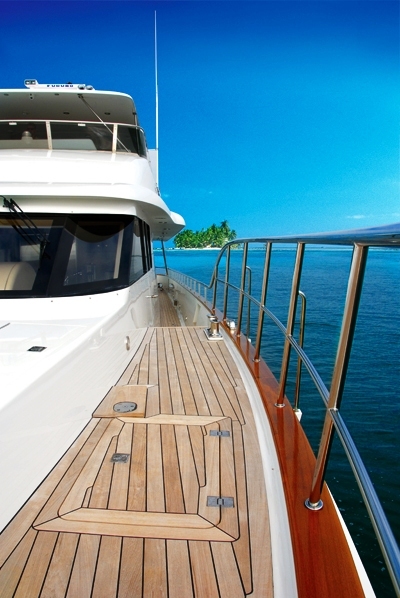 The charter yacht is 27,75m (91’) and can accommodate 8 guests in 4 staterooms. 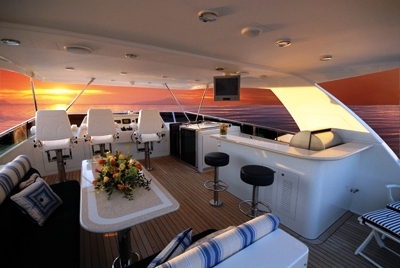 Her interior design was devised by ArgoNautica Custom Yachts. 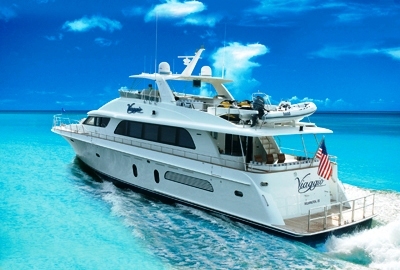 Motor yacht VIAGGIO is luxurious throughout. 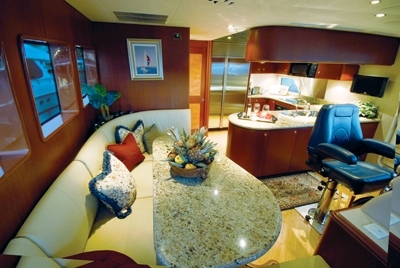 Her interior is accented with blue upholstery in the salon and beautiful sapphire and navy blue granite in the bathrooms. 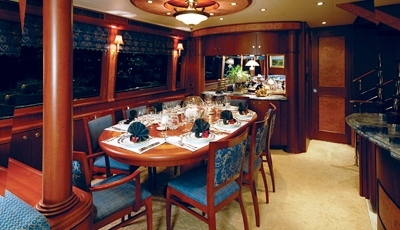 She boasts a lovely country kitchen forward and the main dining area adjoins the main salon. 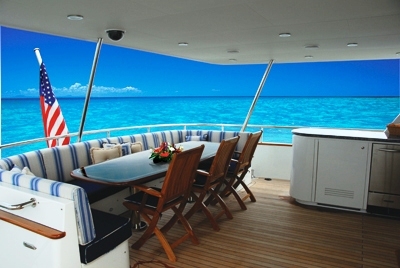 On the yachts exterior, there is a wet bar on the aft deck as well el fresco dining, with seating on the blue and white blue striped u shaped couch, table and free standing chairs. 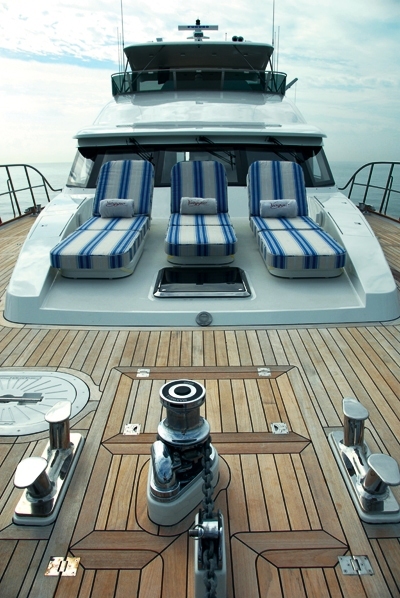 Up forward on the bow there are three extra large superbly cushioned chaise lounges for sunning or relaxing. 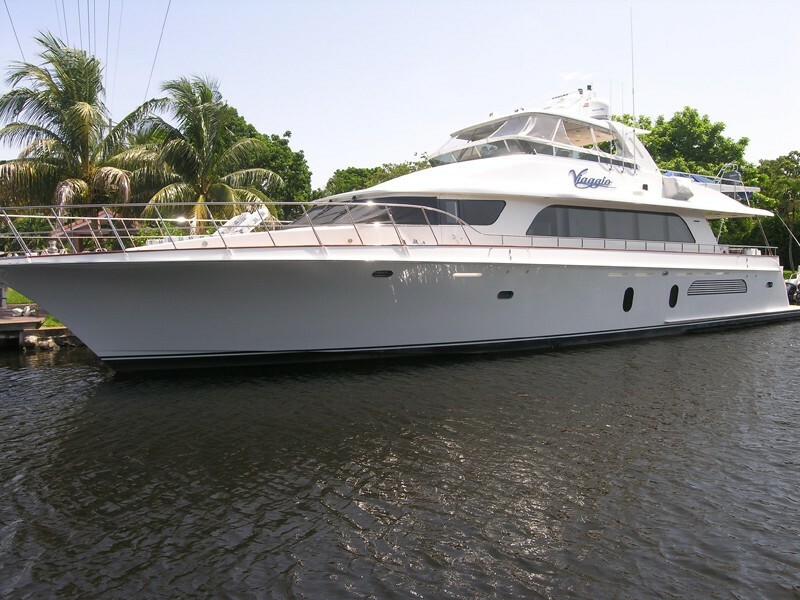 The flybridge is a great place to relax with a bar, barbecue grill, dining table, 3 viewing chairs forward and a sunbathing area. 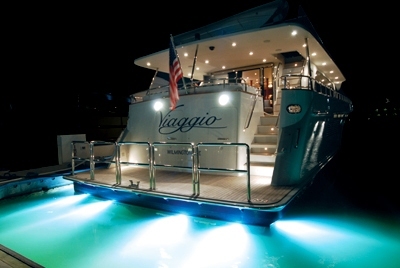 VIAGGIO also has a huge swim platform perfect for relaxing or accessing the various water toys or towed tender. 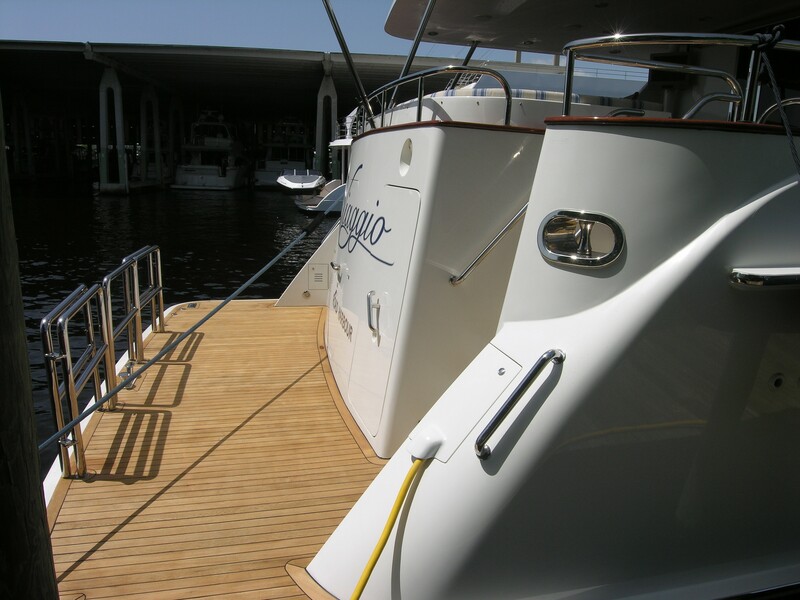 VIAGGIO has a crew of 4 ready to welcome you on board. 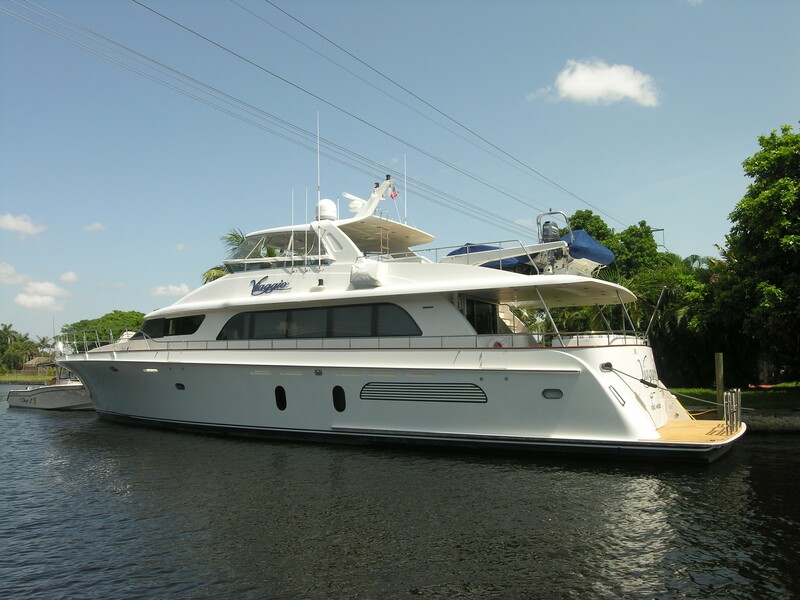 The 2006 Cheoy Lee motor yacht Viaggio, can accommodate 8 guests in 4 staterooms. 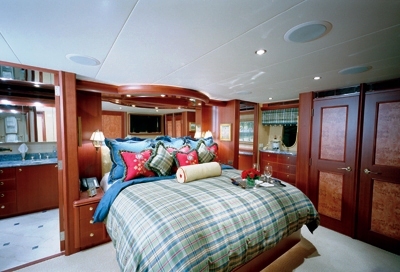 The Master stateroom is located below deck and is full width of the beam, with a king size berth and an his and hers ensuite bathrooms separated by a large, custom glass walk through shower. 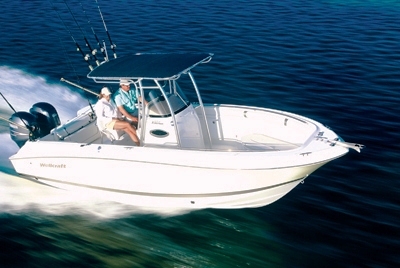 Hers has a vanity area. 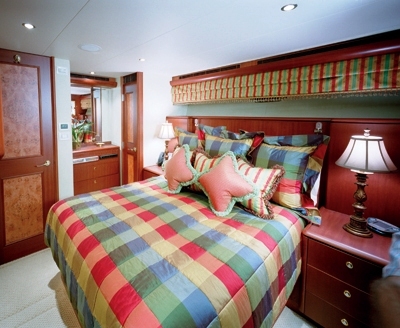 The VIP stateroom, below deck forward has a double size berth, ensuite bathroom with shower. 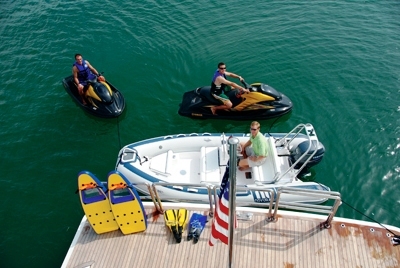 The remaining two Guest staterooms are located below deck midship stbd and port. 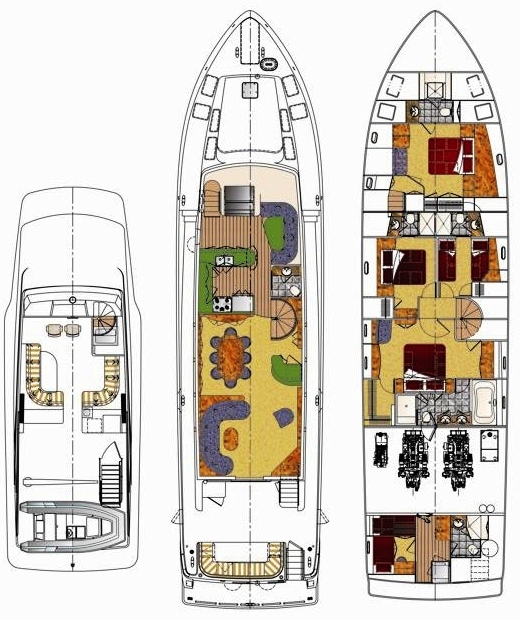 One has twin sized berths, and the other has a queen size berth, both with ensuite bathroom with shower. 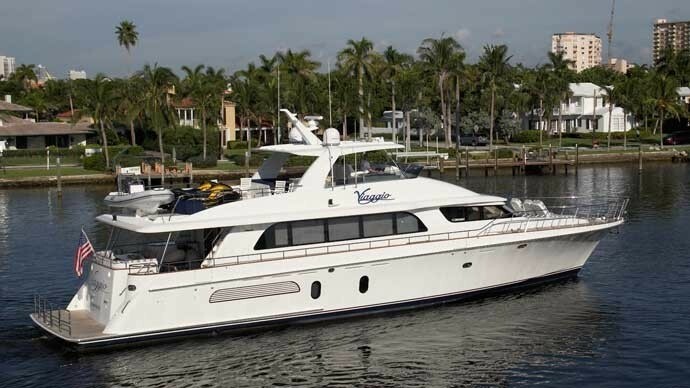 Charter yacht VIAGGIO has a range of tenders and toys including a 25 ft Wellcraft with twin 150hp 4-stroke Yamahas geared for fishing (The 25ft Wellcraft is not available in New England), a 15ft tender, 2 Waverunners, Snorkel gear (adults and children), Fishing gear (adults and children), Water skis, Inflatable towables for adults and children. 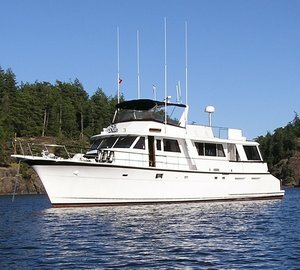 Her Communications onboard include a Satellite telephone and facsimile and Internet capabilities. 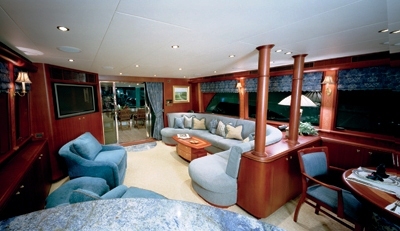 The onboard Audio Visual Equipment and Deck Facilities include a flat screen satellite TV and music with surround sound speakers in the Main aft deck, a large flat screen satellite TV with DVD and on demand music system with surround sound speakers in the Main salon, there is a Large flat screen satellite TV with DVD and on demand music system Master stateroom and a flat screen satellite TVs with DVDs and on demand music systems in the 3 guest rooms.